Pour 1 cup of cream and 1 cup of milk over the Cocoa Puffs™, then so the same with the remaining milk and cream with the Cheerios™. Allow to sit for an hour. In a small bowl, mix half the gelatin and half the water. Do the same with the other half in another bowl. Strain the Cocoa Puffs™ out and put the liquid into a sauce pan and bring to a simmer whisking often. Add cocoa powder. Simmer for 5 minutes. 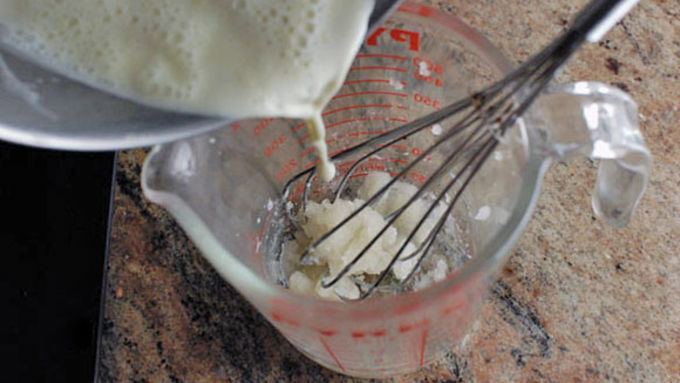 Remove from heat and whisk in half of your gelatin. 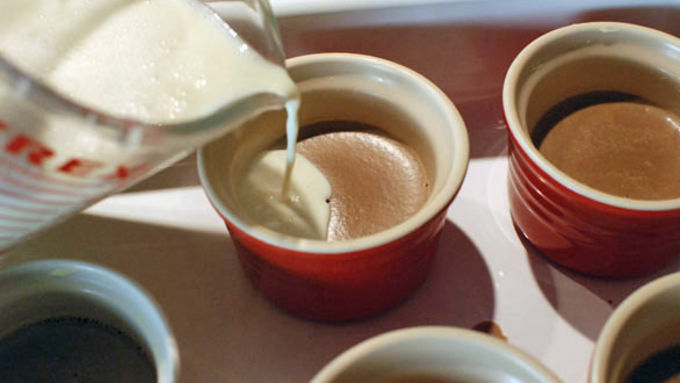 Pour the liquid evenly into 5 buttered ramekins, only filling about halfway. Allow to cool for a half hour in the freezer. 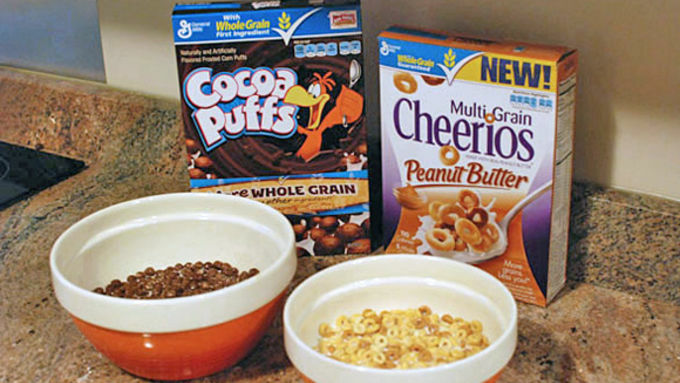 Repeat with Peanut Butter Cheerios™ milk, this time omitting the cocoa powder. Slowly pour this milk/gelatin mix over the top of the Cocoa Puff™ portion, filing the ramekins the rest of the way. Place into the refrigerator and allow to cool for two and a half hours before serving. To serve, flip out onto a plate and top with crumbled cereal. Pop-up restaurants are a big trend right now in Boston. If you’re not familiar, a restaurant basically appears out of nowhere, serves dinner for a day, week, month, or whatever allotted time it chooses, then disappears back to nothingness. It’s something different and a lot of fun, and I try and get tickets whenever I can! One I recently attended was college-themed. This meant things like wild mushroom “hot pockets” and the most fabulously upscale seafood ramen imaginable were on the menu for the night. 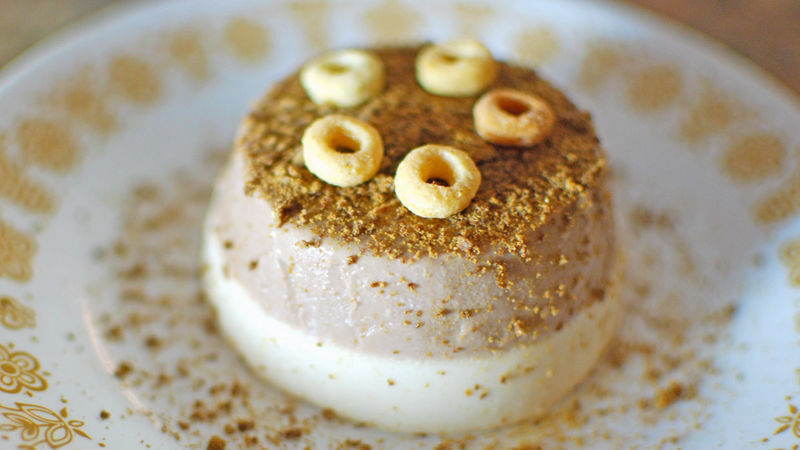 The thing that caught my eye the most, however, was the dessert – a cereal panna cotta that came in two layers and was any college kid’s dream. The second I tasted it I couldn't wait to recreate it and share the recipe with you! 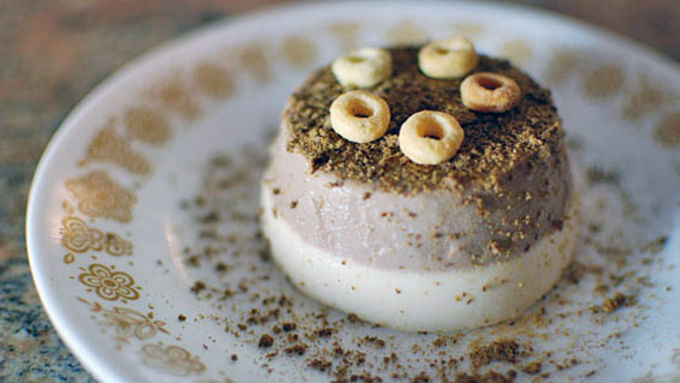 The kid in you will love this grown up dessert!